I love a quick meal. And I love this restaurant at our mall’s food court – Bocata’s. It is a sister company to Settabellos (yes the pizza place you love mom) and they have delicious pita sandwiches. Ben and I have a favorite which is their egg, BLT. 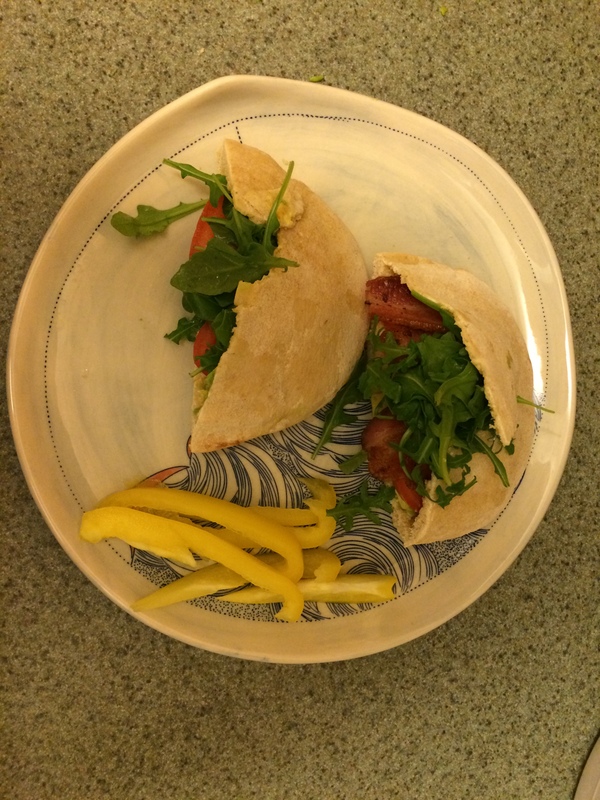 So, when we say similar pitas at the store we had to try and make these sandwiches and I will tell you they came out pretty good! We used one one pita per person and cut them in half for filling and easy eating. Ben and I liked putting ranch and mustard in our pitas for sauce. You can also do mayo, hot sauce, etc. 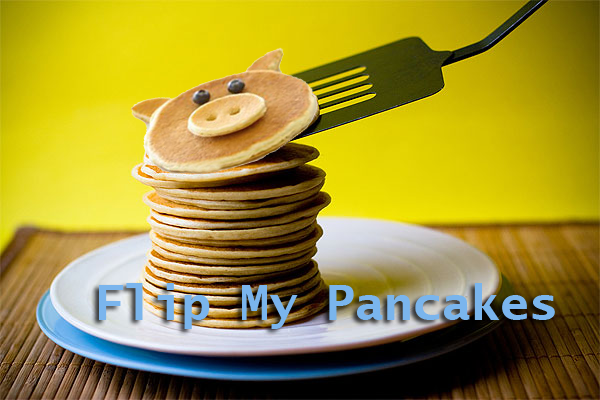 We put one fried but runny egg on each side along with cooked bacon cut into smaller pieces. 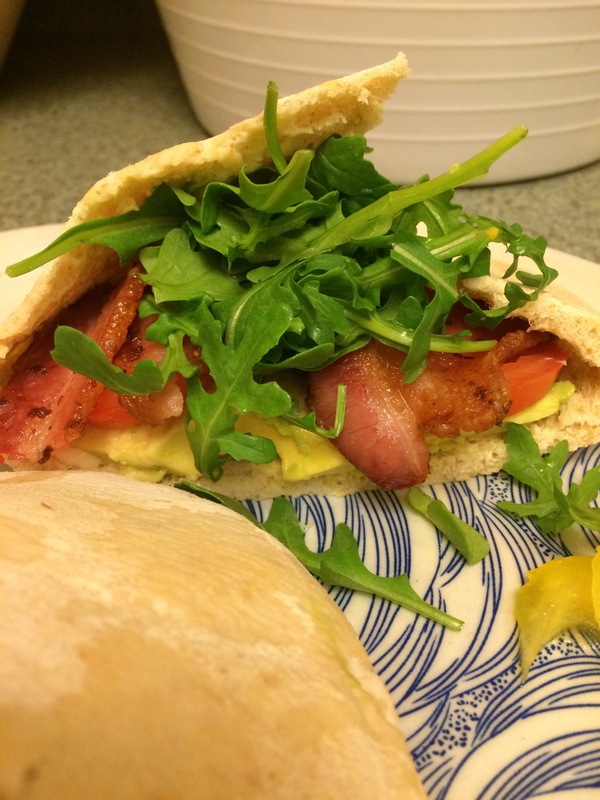 Then we filled the pita with fillings such as tomatoes, avocado slices, and arugula! The arugula is one of my favorite touches that Bocata’s does. But feel free to experiment and do it how you like! We cut up a yellow bell pepper to act as healthy french fries with the sandwich. Overall it was delicious and fed us for 2 meals. It was so filling for me that I only put an egg on one side and had a regular BLT on the second side.